Bungie, the guys behind ‘Halo,’ ‘Myth’ and ‘Marathon,’ have just signed an exclusive deal with Activision. Seriously. For the next ten years, every game Bungie puts out will be on the Activision label. Before you get too ramped up about Master Chief appearing in ‘World of Warcraft’, remember that this doesn’t affect the Halo universe. Bungie started it, yes, but Microsoft owns it. 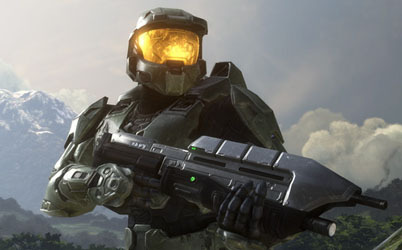 Halo games will still be coming out, but Bungie won’t be involved. They’ll be published by Microsoft and developed by somebody else. Bungie, meanwhile, will be making new games for Activision, and only for Activision. 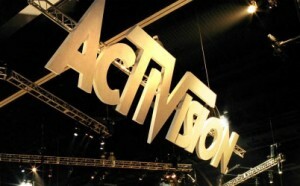 This gives Activision one more big name developer that they can boast as their own. Having Blizzard and Bungie in one place is a huge deal, but losing the Halo franchise could really sting. Don’t get me wrong, Bungie is a great developer, but they’ve been kind of a one trick pony for the last several years. Since 2001, Bungie has released ‘Halo: Combat Evolved,’ ‘Halo 2,’ ‘Halo 3,’ and ‘Halo: ODST.’ They’re currently finishing up ‘Halo: Reach.’ There’s a pattern there, and it explains a lot of Bungie’s success. They made a good game, worked on it and made it a great game, then did it again and again. They haven’t made anything non-‘Halo’ in a long time. So while this is a risky move for Activision, it’s actually a pretty sweet deal for Bungie. They’ll be maintaining all rights to their intellectual property. When they leave Activision a decade from now, everything they made will still be theirs. Even better, Bungie can go multiplatform. This is a pretty big deal for Bungie, since they’ve been tied to one system for so long. No longer will they be making games exclusively for the Xbox 360. If Bungie stic ks with the high-def route, they’ll be able to release on PC, PS3 and Xbox 360. If they don’t, they’ve got the Wii, DS and PSP to work with. It’s a wide open market for Bungie. So one of the most popular game developers has signed with the largest game publisher around. Despite Activision’s less than stellar reputation, I’m excited to see what happens.